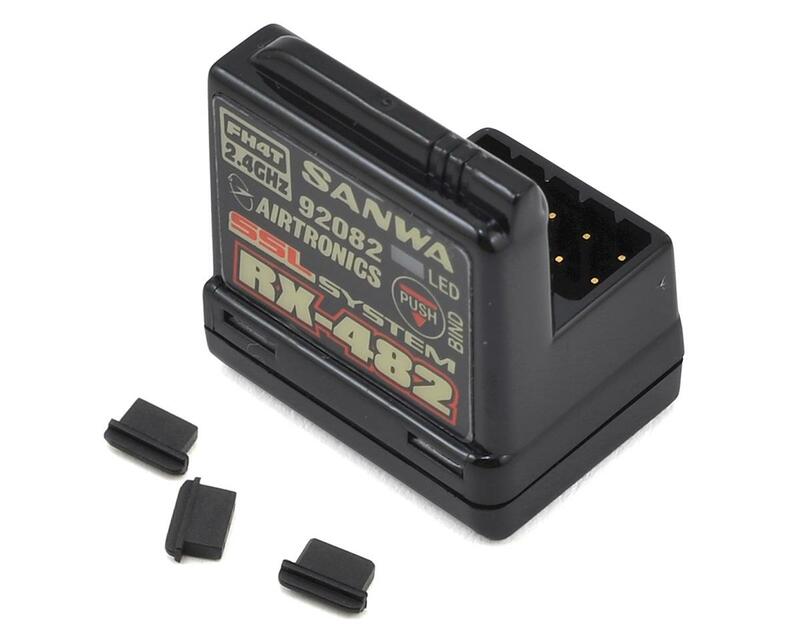 This is the Sanwa / Airtronics M12S-RS FH4T 4-Channel 2.4GHz Radio System with an included RX-482 Telemetry Receiver. The M12S-RS is very similar to the M12S in terms of response and function, but is slightly more basic to make it a great sport transmitter. When used with compatible RX-472, RX-482, Super Vortex Series, SV-Plus Series, the setting of ESC etc. by Transmitter is available through SSL functions while driving. Since the setting can be done without the stop of car, the detailed adjustment in accordance with Race conditions is available without interruption of Intervals and the change of machine conditions. It is often said that telemetry system reduce response speed. However, SANWA Original Data Processing and Algorithm Design makes Telemetry possible without response speed reduction. This Excellent Telemetry System has no response speed reduction. With their telemetry system, the precious race data will help the next race setting and driving. Please do not use Analog Servo for SHR mode or SSR mode. If analog servo is used for SHR mode or SSR mode, the servo will be broken and will not work. Digital servo (SRG series, Digital ERS series, SDX series) can be used both for NOR mode and SHR mode. SSR mode can be used only by SRG & PGS series servo. 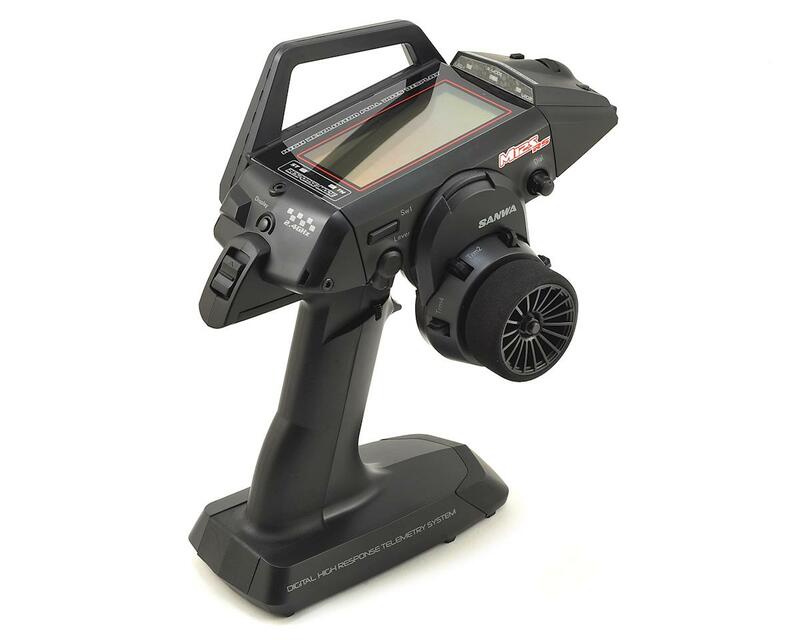 In SHR or SSR mode, BL-FORCE, BL-SPORT, F3300, SBL-02 and SBL-03CR do not work. Please use NOR mode for the above ESC. This radio is awesome! It has the same internal specs as the $500 M12S..the only thing different between this radio and the more expensive option is that it's simplified..no extra drop down or angle parts, no chrome buttons..anything to add extra cost or tune ability is removed and it comes out of the box with the small wheel, drop down and 4AA battery tray...I bought the SANWA branded life pack and I was set, same speed and same tenability as the M12S..just chepaer..awesome radio. Amazing transmitter, and worth the money. I always wanted an M12S but couldn’t justify the price. 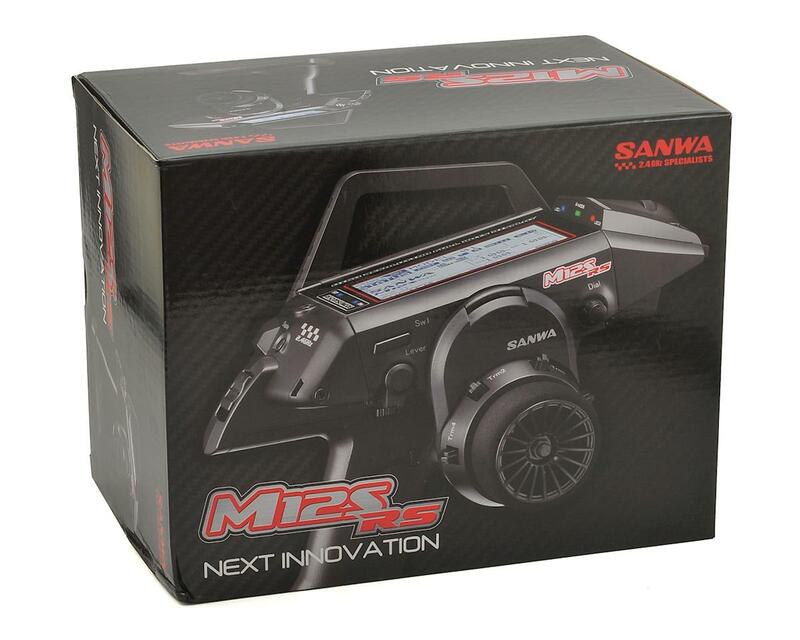 When Sanwa released this radio I thought an M12 might finally be within my reach. I am so happy I spent the money, this radio has all of the good things from the M12S and still feels like a top shelf unit. I recently tried the Spektrum DX5R and the Futaba 4PV. Both were very nice and are worthy of mention, but I feel the M12S-RS is on another level. The build quality, feel, and performance are truly pro-level. My only gripe is the battery tray flops around inside the housing, so I solved this by cutting out two foam strips to use as spacers. This is an amazing radio, and if you can’t swallow $500+ for the M12S then give this one a look, you won’t regret it.